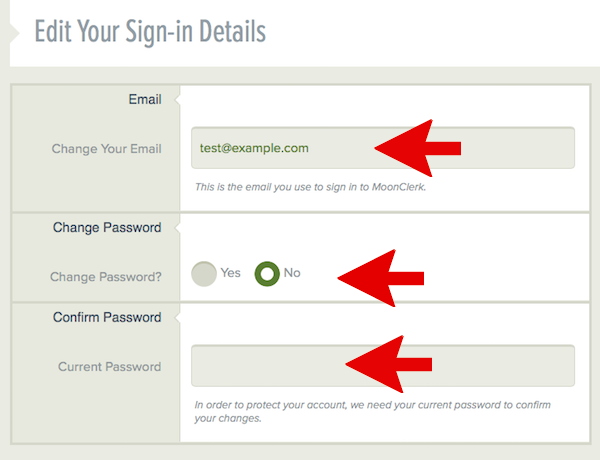 How do I update my sign-in details? 4) Change your email. 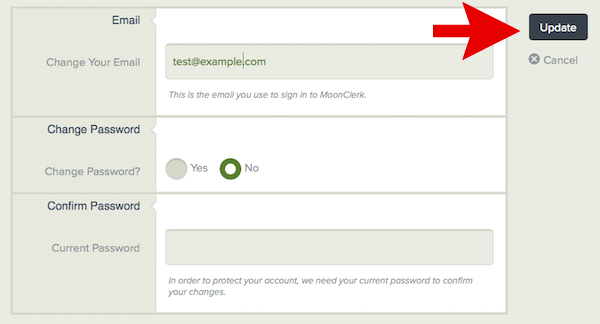 If you'd like to change your password, select Yes in the Change Password section. Enter your new password. When you're finished making changes to your email and/or password, enter your current password.